Grown men can be seen shedding tears as they witnessed the destruction by fire of a Parisian treasure, the Notre Dame Cathedral that sits on an Island, Île de la Cité, in the center of Paris on the River Seine. This is a site that has been visited by locals and tourists for centuries. It’s estimated that in 2019, around 30,000 people visited the church daily. 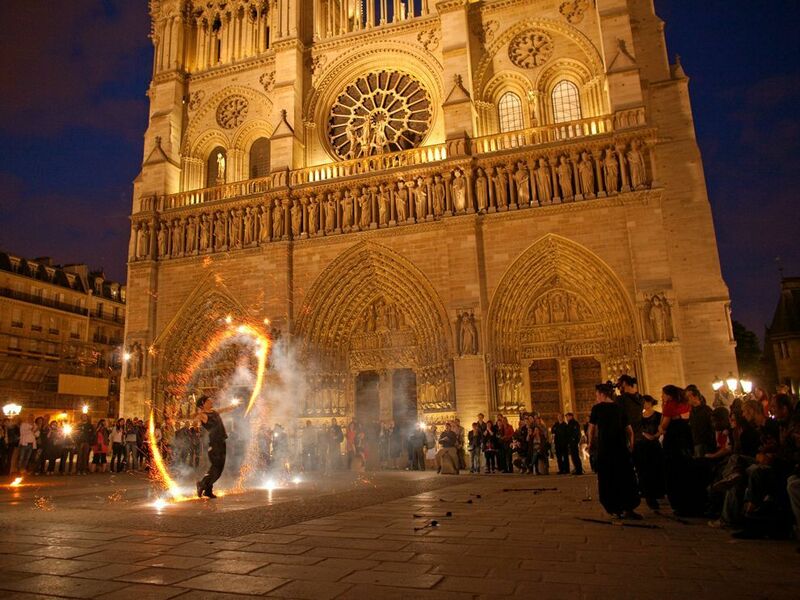 The fire appears to have started in the early evening, after tourists had left the church area. I count myself among the many tourists who has been blessed to be able to tour this magnificent French Gothic Architectural wonder in all its splendor in the 1980s. 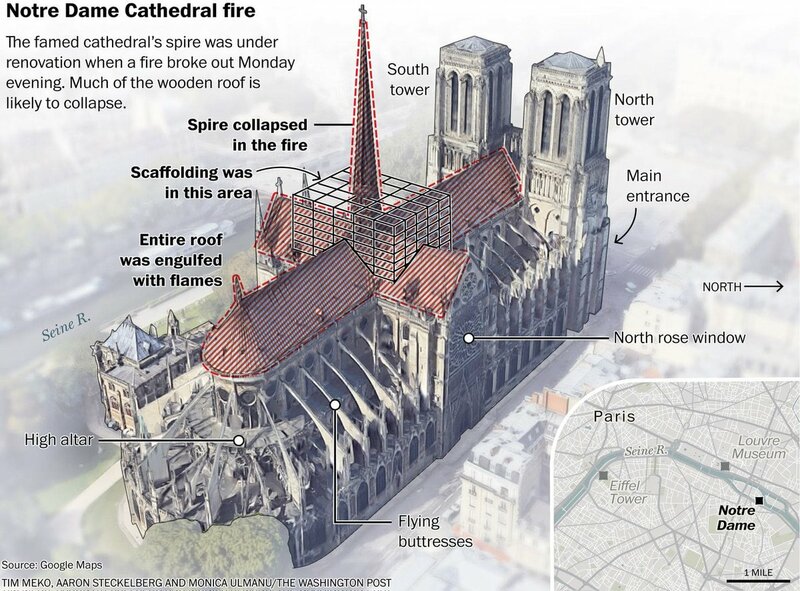 Initially, there was hope when it was just the spire that was engulfed in flames and as about 400 firemen did battle, but when the roof caved in with the 295 foot spire, reality hit, that the Notre Dame Cathedral would be lost for now to France and the world. I can hear the voices on the ground, crying “noooo” over and over again as the inevitable happened. Then there were thousands of onlookers who observed the developing tragedy in silence. We here in the USA stand in solidarity with our brothers and sisters in France, in our shared grief over this tragic, unexpected loss. But after 11:15 PM in France, there’a glimmer of hope as firefighters could be seen on roof. According to the local fire inspector and police, it looks like the main structure, itself has been saved. Singing of religious hymns has broken out among the crowds. The French prosecutor and the police have started an investigation to determine how the fire was started. 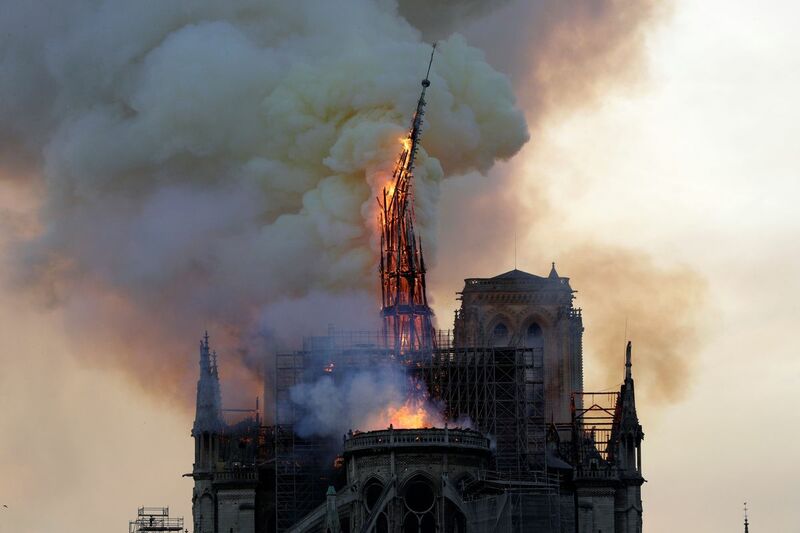 “UNESCO said in a tweet it was “closely monitoring the situation and is standing by France’s side to safeguard and restore this invaluable heritage”. I’m sure the French welcomed President Trump’s advice. But there’s good news. It looks like the local firefighters were able to save the main structure. Thank you for your this Granda Morin. You are so welcome. There’s good news as more and more reports confirm that the firefighters were able to save the main structure. This was a heart breaker. 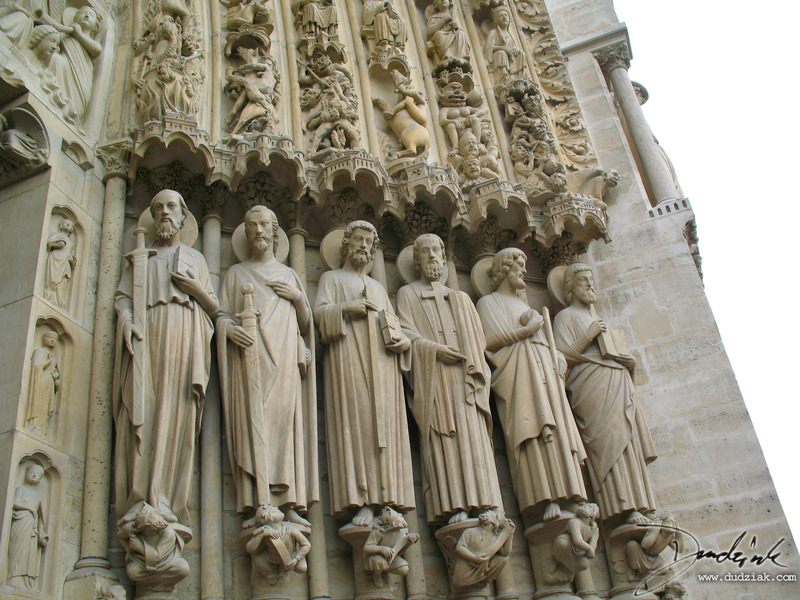 Almost anyone who has visited Paris has toured the Notre-Dame Cathedral. It’s sort of like NYC’s twin towers. 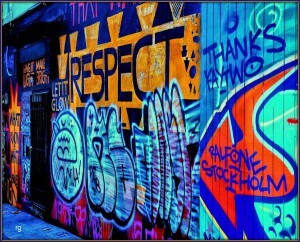 It was part of the landscape, something that’s iconic to that city. I’ve no doubt, this tragedy will be turned around to benefit France. President macron has said he has received pledges from French citizens alone for 1/2 billion dollars which will help with the rebuilding/ reconstruction. From what I can tell the Rose window was spared. And our idiot in charge wants them to fly water tankers over the Cathedral and they better hurry. He makes a clueless statement and his cult rejoices. This was a shocker. It was hard to watch this. But there’s good news. President Macron has announced that he has received pledges from French citizens for 1/2 billion dollars which will help with the rebuilding/reconstruction efforts.